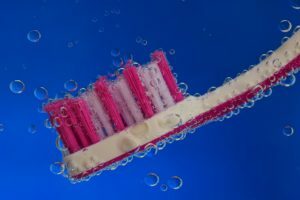 In addition to the hundreds of natural remedies to prevent, heal, and help recover from illness, it is important that we remember the role that cleaning can play in the preventative process. Keeping your home clean and sanitized can help stop the spreading of germs and bacteria that can wreak havoc during this time of year. We all learn that covering our mouths when we cough or sneeze and washing our hands frequently is important to help stop the spreading of germs, but there are other ways you can help keep sickness at bay. 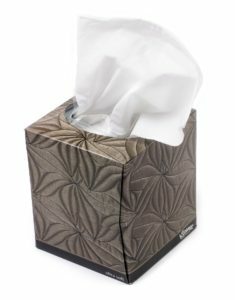 A tissue box may become a staple in your home during cold and flu season, but germs don’t have to be. According to this germy info-graphic, buttons and handles are some of the most germ infested places. Stopping the spread of germs can be as simple as making time to regularly wipe down and disinfect areas like the sink knobs, soap dispensers, microwave buttons, or refrigerator handles. It is good practice to disinfect common areas like these as often as possible, especially if someone in your home has been showing signs of illness. Laundry seems like an obvious necessity, especially if bodily fluids have been involved in the illness. However, doing your best to launder things like stuffed animals, couch upholstery, or the mattress can sometimes be forgotten. Use your choice of disinfectant spray to wipe down furniture and mattresses and let them air dry before allowing others to use that space. Germs can hide in the fibers and spread easily. Jenn at Clean and Scentsible compiled a list of 10 Things to Clean After the Flu. Our favorite tip is #3. If at all possible, confining the sickness to one bathroom will make clean up much easier afterward. We also recommend her method for cleaning your toothbrush if you can’t just throw yours away. 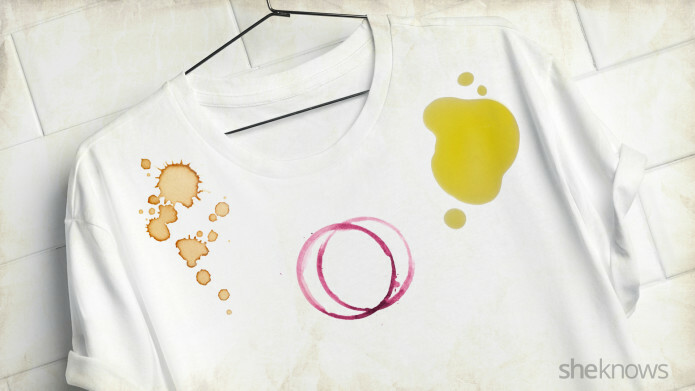 Simply soak it in hydrogen peroxide to kill any bacteria still lingering. Being sick is miserable, but the misery doesn’t have to have company. Don’t allow sickness to spread in your home. Practice good hygiene and routinely disinfect to make sure it is a safe place for you and you loved ones this cold and flu season. At The Cleaning Crew, LLC., we are committed to cleaning your home in a way that is safe for your family the environment. On our website, you can find this commitment in writing. This means we use products which are non-toxic and eco-friendly as often as possible and when requested by our customers. We also recycle and reuse as many supplies as possible, such as our cleaning towels (they are cleaned and sanitized after each use); and we recycle and reuse our spray bottles and cleaning containers as often as we can. We also support and purchase supplies from other locally owned businesses whom are working to create awareness about green practices, for our use out in the field and in our office. We want our clients to feel not only clean, but safe. So, we do our best to use environmentally friendly cleaning products and equipment. We are sure to stay up-to-date on the latest trends in “green” cleaning, and we’d like to share them with you so that you can practice these for yourself. 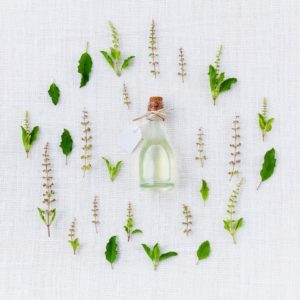 A simple way to put some green in your clean is to use environmentally friendly products. 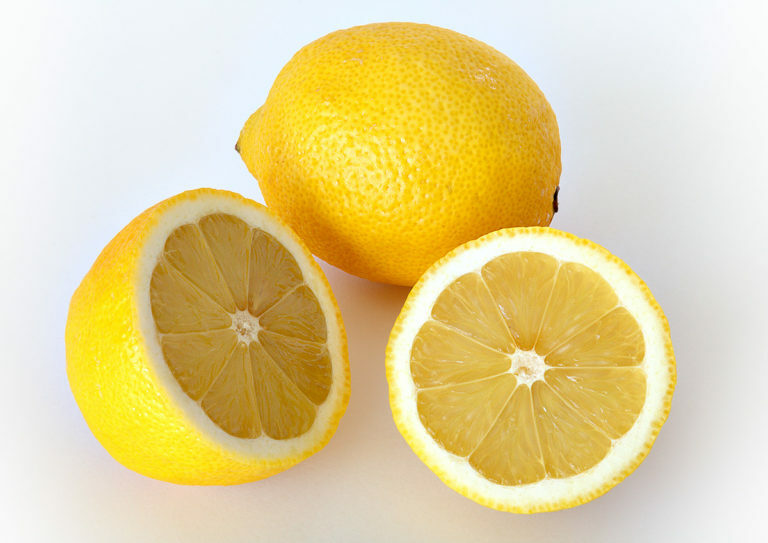 Natural liquids like vinegar and lemon juice can do some major cleaning. Combine either (or both) with warm water to create your very own all purpose cleaner. Baking soda is another natural cleaner that you can use to strengthen your cleaner and to eliminate odors. If you have an electric stove top, you’ve battled with baked on messes. Let some baking soda sit on the stuck on spots for a few minutes and then the scrubbing can be a lot easier. It absorbs odors as well. Stick an open box in your fridge, near your trashcan, or other stinky areas to help eliminate those unwanted odors. Take our lead and reuse your cleaning equipment. If you wash and sanitize between uses, reusing cloths and bottles instead of one-and-done products can significantly reduce the amount of trash that you are making. The easiest way to make sure you are cleaning in a safe and effective way, is to hire us to do it for you. We will honor our commitment to a green clean, and save you time in the process. Call us today for a free quote today at 541-601-6236. April showers are in full swing, and flowers are beginning to bloom. One of the best parts of spring is being able to enjoy the outdoors. A great way to spend some time with nature is to grow a garden. 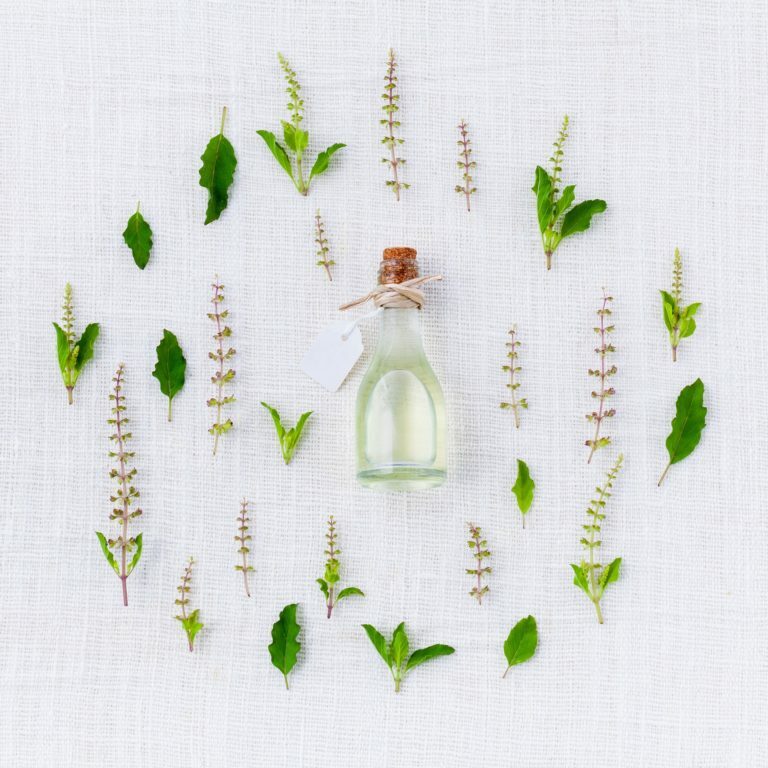 Plants are not only beautiful; they can also be used as ingredients in natural health remedies or cleaning solutions. Before you begin, here are some great tools from Urban Farmer to help you in knowing when to plant certain seeds. Climate and soil conditions drastically affect the ability to grow some of the plants we suggest, so be sure to check out the information on your local area. If you’d prefer to stay out of the unpredictable spring weather, all of our recommended plants can be grown indoor or outdoor. We have chosen some low-maintenance options that anyone can handle. 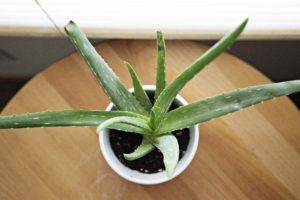 Aloe is one of the most well known indoor plants because it is extremely low maintenance. With a little water and some exposure to sunlight, you can easily grow an aloe plant. Aloe Vera has multiple uses. Most notable are its healing properties for burns and cuts. If you’ve followed our blog for long, you know we love lemon for all kinds of reasons. It is a great natural cleaner that fights grease and grime, but it also helps fight disease because it is filled with antioxidants and vitamins. This super fruit can be grown inside or outside your home as long as it is watered regularly and receives 8-12 hours of sunlight a day. 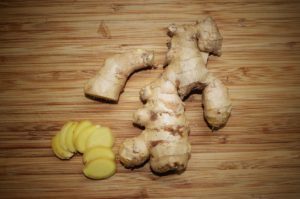 Ginger is quite possibly one of the easiest plants to grow, and it’s benefits are enormous! This is a natural remedy for nausea and generally a great addition to your diet. Buy some from the store. Cover it with dirt, and keep it damp as it starts to grow. 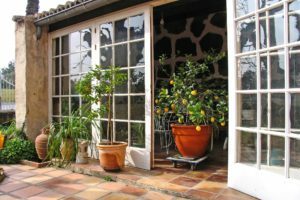 Fresh Home compiled a list of plants that naturally filter the air in your home. These houseplants require little work, but help to keep the air in your home safe for you and your family. 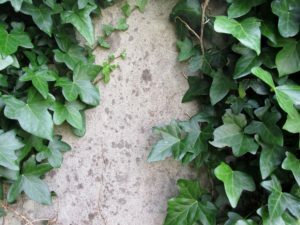 You could start with the most common houseplants like smaller palms, English Ivy, or a Rubber Plant. With both medicinal and culinary uses, Parsley, Basil, and Sage are all great options for an herb garden. From fighting infections to anti-inflammatory properties, the health benefits of adding these into your diet are well proven. You can even make your own essential oils. These herbs require a lot of sun, so make sure to put your indoor garden near a window. Here is another great list from Organic Authority of natural ingredients you can use to create cleaning solutions to use around your home. This list includes some of the plants we’ve already mentioned as well as chamomile, cucumber, and peppermint. While you’re tending to your garden, we’d love to take care of the housework. 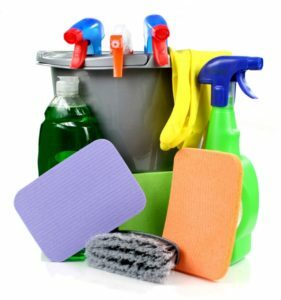 With our all natural cleaning methods and supplies, you can trust us to keep your home safe and clean. Don’t wait! Call us at 541-601-6236 to schedule a quote or a cleaning. This “green” and budget friendly laundry scent booster will refresh and brighten your laundry loads. 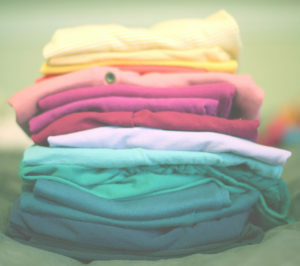 Keep your laundry bright and Fresh —> Click HERE! 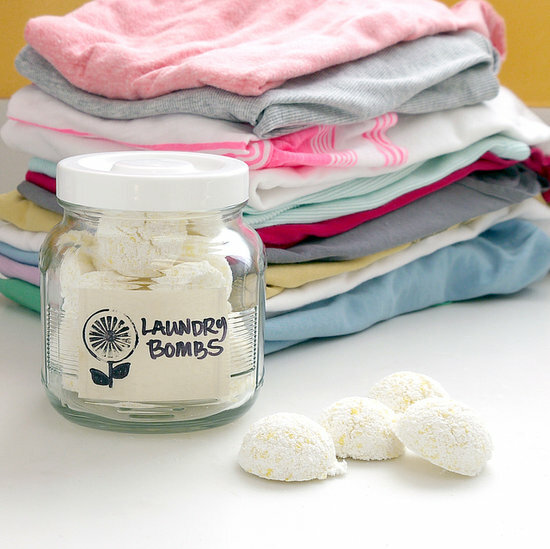 Enjoy the convenience of laundry bombs, but without all the expense. Bonus? You’ll know exactly what is in them! —> Click HERE! 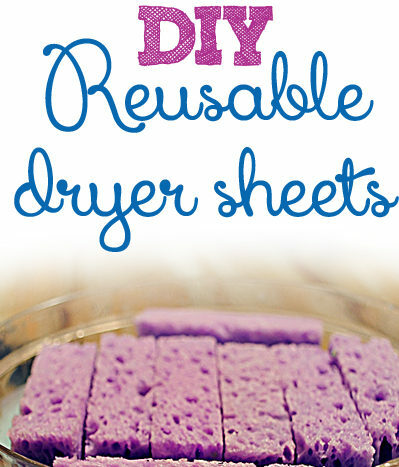 Ditch that fabric softener and those store bought dryer sheets and try these Reusable DIY Homemade Dryer Sheets and fabric softener –> Click HERE! 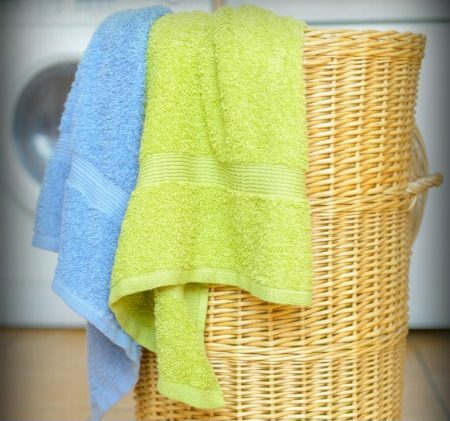 This homemade liquid fabric softener can be used in your washing machine just like commercial softeners! Here’s how to make your own liquid fabric softener. 1. Add 20-30 drops of your favorite essential oil to a one-gallon jug of white vinegar. 2. Close the lid and give it a good shake. 3. When it’s time to do your laundry, shake it once again, and use 1/3 cup per load. 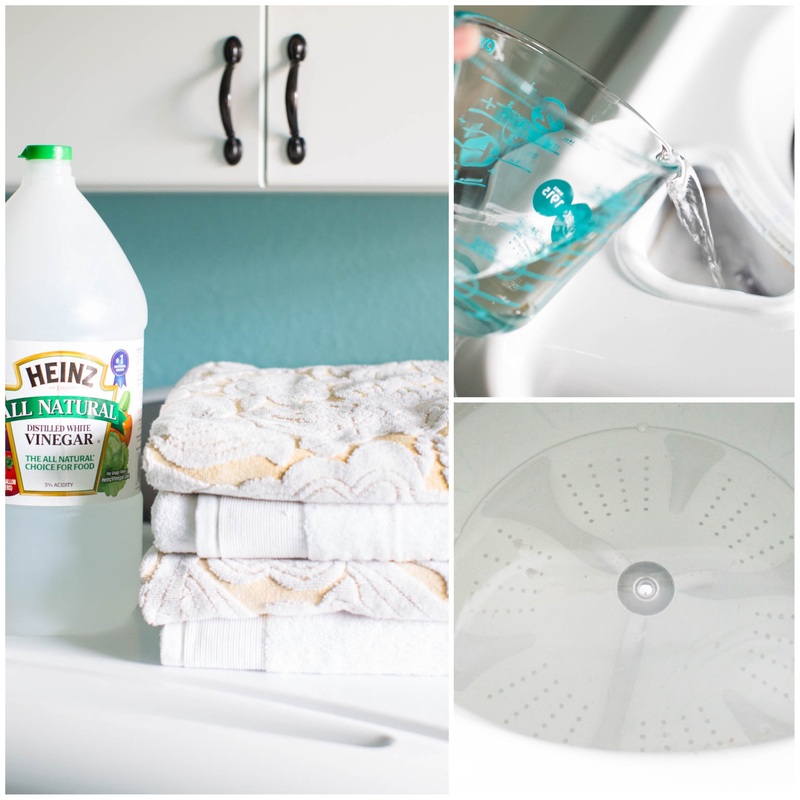 Here is the easiest way to clean your washer …all it takes is ONE ingredient and a few minutes to leave your washer smelling squeaky clean. –> Click HERE! 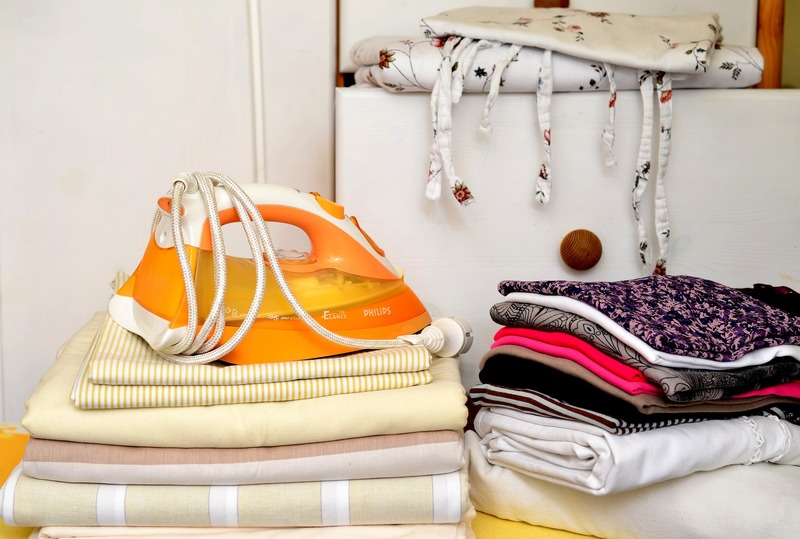 What are some of YOUR favorite laundry room tips, tricks, and hacks? Leave a comment below and share the love. Summer’s in full swing. If you get a case of “summer overwhelm” and need some housecleaning help, give us a call for a simple and quick over the phone quote: 541-601-6236. Mom’s 6 Best Kept Cleaning Secrets – Technology has definitely made life – and cleaning – easier! No complaints here! 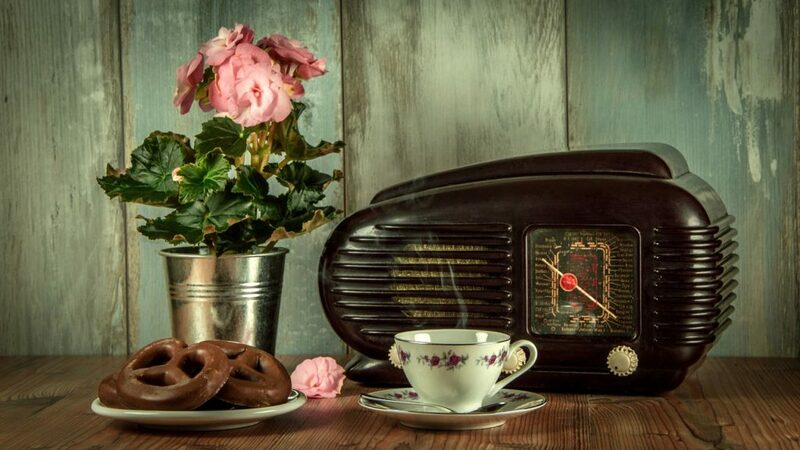 But even robotic vacuums and fancy dishwashers can’t replace the timeless housekeeping tips, tricks and memories of our mothers and grandmothers. 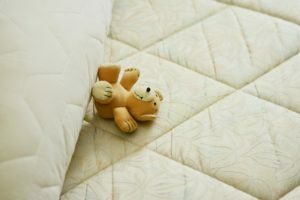 We have asked our clients and cleaners to share their generational cleaning tips, tricks and memories so that we can share their nostalgia and brilliance with you! Treat Your Laundry With Care! Hot wax spilled all over…..the carpet? Candle wax often finds its way onto our carpets, area rugs, or upholstery. But with this quick tip you can easily get the candle wax out and make your carpet as good as new. With a damp rag and a steaming iron removing spilled wax is easy. After preheating your iron place a wet but not dripping rag flat over the waxy spill. Place the hot iron on top of the rag and check every 15 sec. till the wax transfers onto the cloth. You may have to re-adjust the rag a few times to remove all spilled wax. What’s your secret use for vinegar? Here at the Cleaning Crew we use vinegar a ton with lots of variations. Here’s a great one we found from @ModernDayMom. Give it a try & let us know what you think! Orange Vinegar – A Greener Cleaner! Let orange peels soak in vinegar for 2 weeks in a cool dark place, then remove the orange peels and dilute with water by 50% in your regular spray bottle to add extra cleaning power to your natural cleaner. Check out these other effective and zesty recipes on Pinterest! Clean your microwave in 30 seconds! Place a couple slices of lemon or 2 tablespoons of lemon juice into a bowl with 1/2 cup of water. Place in the microwave for 30 seconds – 1 minute and wipe away stuck on food in a snap without scrubbing! We hope you’re able to take advantage of some of these old-school, time-honored organic cleaning methods in your own home. Your Mother & Grandmother would be proud. PS – Do you have a favorite “Mom’s Cleaning Tip?” Leave it in the comments section below. It’s time for some DIY inspiration! Try one or all of our easy DIY home recipes. We’ve got you covered from beauty to home. These recipes will save you cash and work wonders too! —> Here’s how to make an easy homemade shaving cream with coconut oil. It smells delicious and will leave your skin smooth and silky without using preservatives or synthetic ingredients. Get started so you can get your shave on! Click Here! —> This is an easy DIY Homemade Liquid Dish Soap you can make at home with just a few ingredients. This simple eco-friendly recipe will remove food and grease with ease and make it easy to wash your dishes…and save money. Click Here! —> Clean your home and freshen it at the same time with this DIY antibacterial spray. Keep your entire space germ-free with this awesome spray. What’s more, it’s safe to use around pets and kids. Click Here! —> Only the BEST Homemade stain remover EVER! Remove tough stains only using 3 ingredients from your pantry. Don’t waist another moment Click Here! —> While covering up is the best option for decreasing bug bites, it’s not always realistic. This quick, easy, and family-safe homemade bug spray does the trick. Live Simply’s insect repellent is great for mosquitoes, flies, and other annoying seasonal bugs. Tweak to your liking and apply with confidence. Click Here! First, use a squeegee with a long handle and move it back and forth across the carpet. The rubber attached to it will loosen the embedded hair. Then, pick up the clumps of hair that accumulate. Continue this process until all the hair is removed. Use ice cubes to remove those annoying furniture dents from carpet. Let them melt, and then vacuum or gently lift the fibers with a spoon. Do you have any genius home hacks we should know about? As always, a free and simple no-obligation housecleaning quote is just a phone call away: 541-601-6236. Bathrooms are notorious for being a magnet for that dreaded foe: CLUTTER. After all, we have big items, small items, and everything-in-between items…not to mention everyday items, weekly items, occasional items, and only-when-we-get-sick-items. No wonder keeping the bathroom clean and organized can be such a challenge! In an effort to keep our own lives decluttered, as well as lend a hand where needed, we’re stepping into the bathroom this week. Here are some great bathroom organizing tips that can help us all make the most effective use of the space we have! 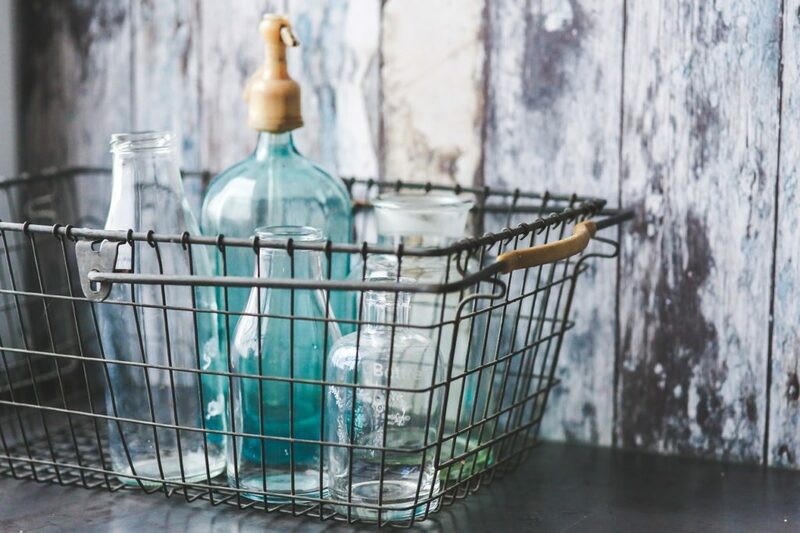 Become a Master of The Mess – To streamline supplies, start with a deep clean. Go ahead and empty drawers and cabinets. Toss expired products, unused items, as well as bulky packaging. Then, store products in easy-in-and-out jars, bags, and baskets. If possible, leave only everyday essentials like hand soap and lotion on the counter. For cabinets, outfit them with handy holders: a back-of-the-door rack for hair tools, and a lazy Susan to bring bottles to the front. Divide And Conquer – Whether it’s makeup, hair accessories or more, don’t let your drawers become one big tangle. The most inexpensive drawer divider idea we’ve found are old shoe boxes! Suggested by Real Simple. Glass Act No room to store everyday essentials out of sight? Try stylish apothecary jars to hold necessities. 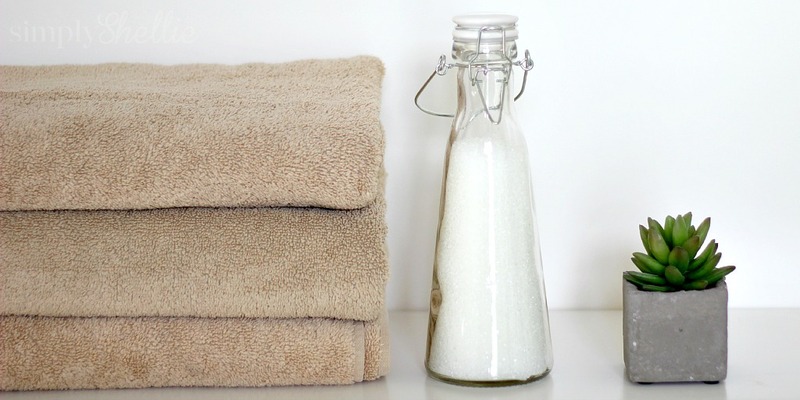 Cotton swabs, soap and bath salts look great in clear glass containers. Tame The Towels Save some floor space by hanging baskets on the wall. They make the perfect cubbies for storing and displaying rolled towels and washcloths. Spotted on Shelterness. Hang It All No tools required! Try IKEA‘s over-the-door hooks: functional, inexpensive, and available in several finishes! Magnetic strip For bobby pins, tweezers and other small metal bathroom tools that always seem to get lost, add a magnetic strip to your bathroom cabinet. This idea comes from Lifehacker. Have either magazines or towels close at hand when you combine these two IKEA pieces together to create a sleek rod and shelf. Seen on Still Inspiration. Take advantage of all the room under your sink (and save yourself some stooping and reaching) with sliding drawers. Check out Living Locurto‘s super-smart ways to organize under the sink. If your quarters are tight and space is already limited, look up. Take advantage of vertical real estate by hanging a multilevel fruit basket for additional storage. When placed in the shower, the open rungs of the three-tier hanging basket allow loofahs and bath toys to dry over the tub. Or suspend the basket in an unused corner and stock it with lotions, treatments, and scented sachets. 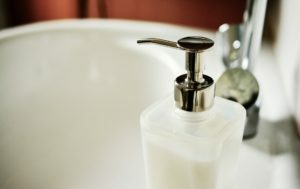 An idea that might keep your bathroom better stocked is to make sure you have the best home energy quote to save money. I hear Money Expert provide a fantastic range of quotes that should save you money. Two conundrums you’ve probably experienced: 1. You’re in your bathroom and you realize you are out of toilet paper. 2. You’re in someone else’s bathroom and you realize they are out of toilet paper. (Do you uncomfortably search your host’s cupboards or sheepishly go ask for help? Skip scenario one at least and always keep ample rolls in a nearby urn, bin, or basket. There’s no end to Bathroom Organizing Ideas! These are meant to give us a kick start. Do you have more bathroom organization ideas to add? Leave a comment below! Along with a little scrubbing power from a sponge, we love this simple and effective Tub Scrub. It leaves tubs and sinks sparkling clean and does a great job removing soap scum. Add baking soda to a glass container with a lid. Add castile soap and water, stirring until it’s toothpaste consistency. If you don’t use all the cleaner in one use, you can save it in a covered container. If it dries out, just add water until it forms a paste again. Have Bathroom Organization Tips of Your Own to Share? Add a tip or two in the Comments section below! We love natural winter recipes and we’d like to share our Top 4 Natural Recipes with 4 ingredients or less! Place the essential oils in a 4- to 8-ounce jar. Add 3/4 cup of ethanol (I used vodka), and top off the bottle with distilled water. Shake, spritz and enjoy! Fill a saucepan with water and bring to a boil. Add the the vanilla drops and orange peels, boil for a few minutes, then turn the heat down to simmer all day. Set a timer for 30 minutes so that you remember to top up water as needed. If you like the simmering potpourri and the room spritzer, you might like our other posts on Homemade Scents. Combine the ingredients in a 2 oz. squeeze bottle adding a bit of water to thin the mixture out. You want the mixture thin enough to coat your hand. Combine lemon juice, baking soda, and vinegar in a spray bottle. Stir in water to the mixture. Spray solution onto tile and grout. Allow cleaning solution to sit for 5 minutes. 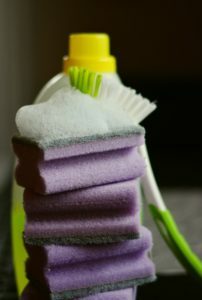 Scrub dirt/grime away using sponge or large scrubber. After scrubbing, wash with water. Follow The Cleaning Crew, LLC’s board Natural Cleaning Recipes on Pinterest.